The 1915 US Womens Amateur was held at Owentsia CC and was won by Florence Vanderbeck. 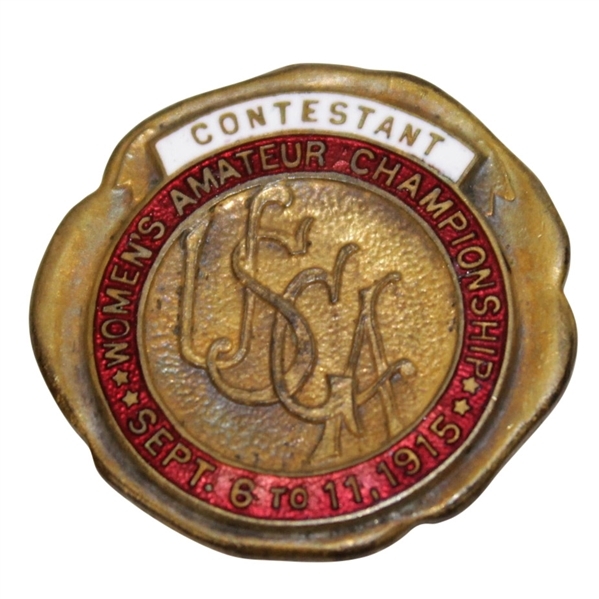 Contestant badges from the 1900's and 10's are getting harder and harder to find. 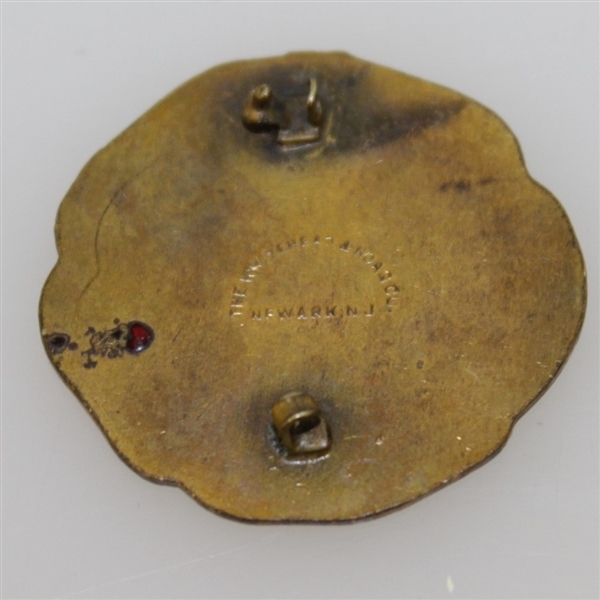 Condition of this 1 1/4" diameter badge is good, despite the pin missing on the back. 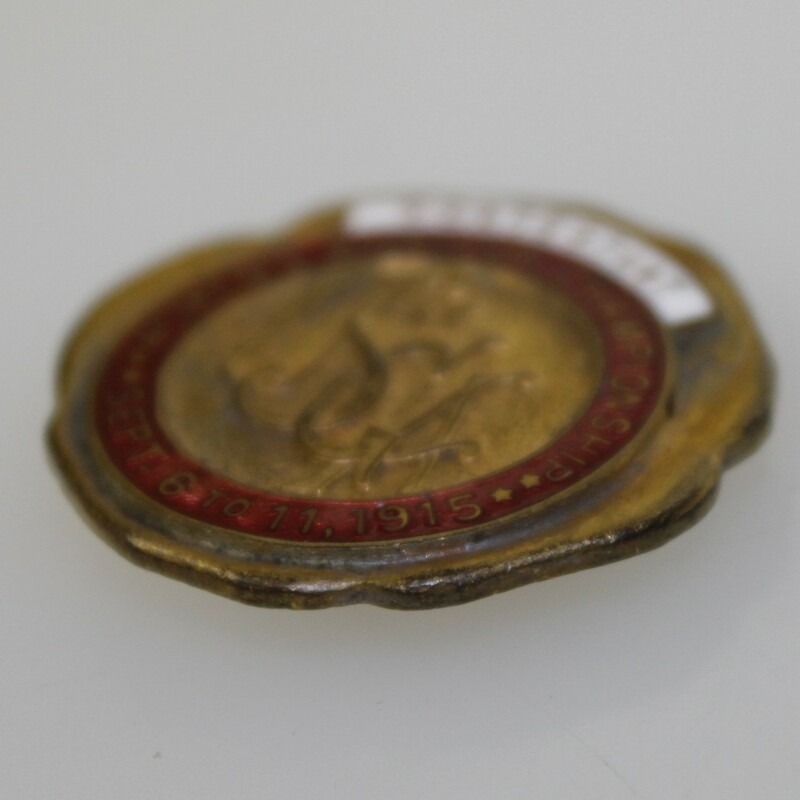 It is safe to say you will never find another of these, the earliest we have had to date.